← Homemade gifts are the most treasured gifts. Have a staycation. Enjoy your own backyard. The staycation definitely keeps in line with my theme for the summer of “Less is More” and being able to accomplish a few items on my Summer Bucket List. 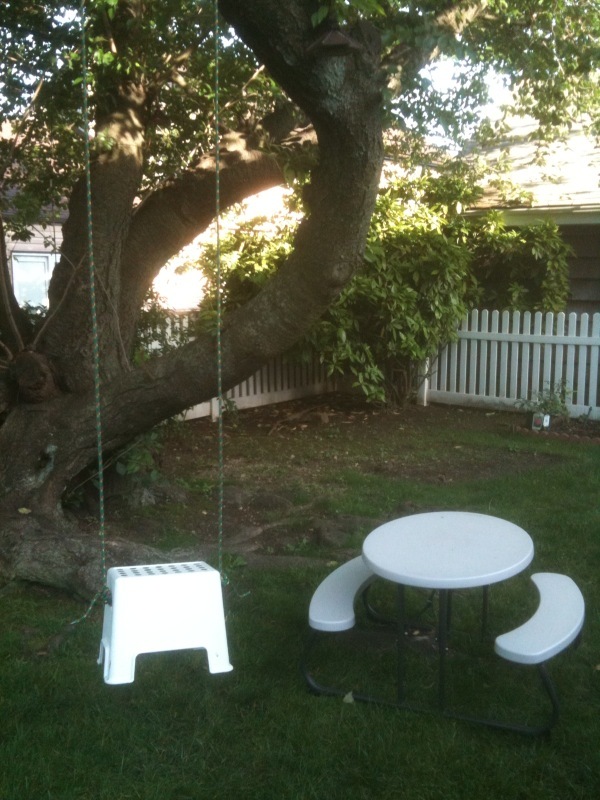 This past weekend’s weather was fabulous and my husband created this makeshift swing with an IKEA stepper and some rope (picture in this post) How creative and awesome is that? Girls had lots of fun…. We’ll see how long the swing lasts, but it definitely contributed to a nice two day staycation in our very own backyard. YOLO! Relax and take it easy. 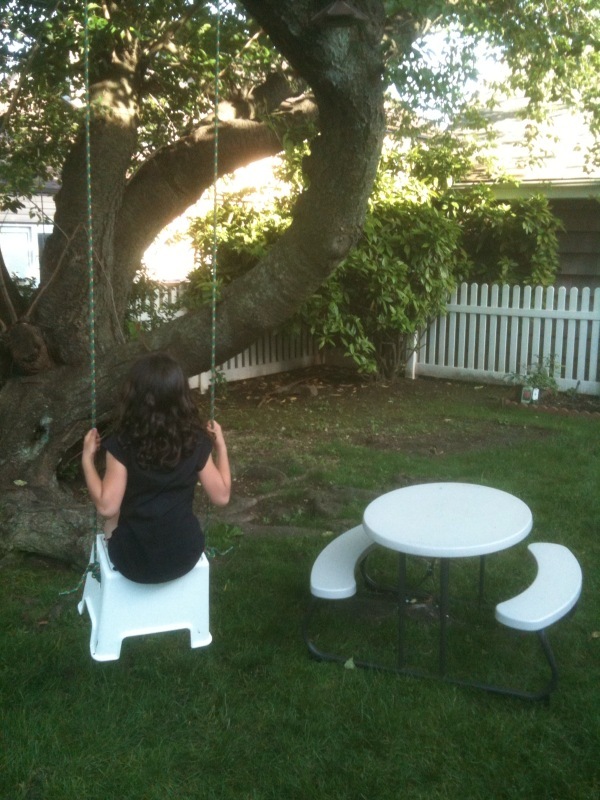 That is actually a very cool swing!